There are a number of cases other than car accidents where you may need a personal injury lawyer. Southwest Missouri Personal Injury Lawyer Tom Kapstrom is able to handle these additional matters as his years of employment in an insurance defense firm exposed him to numerous situations. If you are facing an injury case, other than an auto wreck, the contact our Springfield law firm today. If you have been the victim of any of these wrongdoings, then you may be entitled to compensation. These are cases, however, where many people see them as something not typically dealt with through the civil justice system and, unfortunately, they never retain an attorney. These people are left to pay their own medical bills, and absorb other financial losses as a result. It is important to remember that you should not be stuck with the bill for someone else’s wrongdoing. If you find yourself in any of these situations then contact our office today. Tom Kapstrom is a Southwest Missouri Personal Injury Lawyer who spent numerous years working at an insurance defense law firm after he graduated from law school in 2003. In this capacity he was exposed to a large range of injury case types. He regularly conducted discovery and attended trials where cases such as the one’s discussed above were resolved. This experience has proven invaluable since Tom opened his Springfield office. Contact us online or by telephone today for a free initial case assessment. 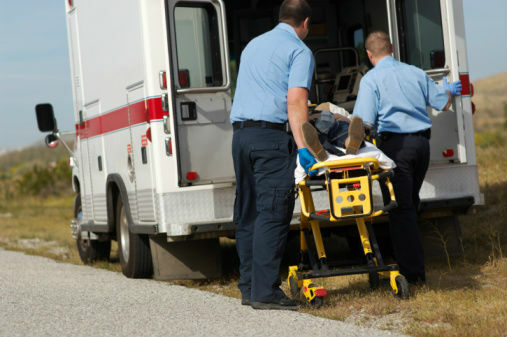 Many non-car accident injuries leave a person in severe pain and/or with limited mobility. In such circumstances it may be difficult for the person to travel to an attorney’s office. When necessary Tom has traveled to the homes of potential clients and current clients so that they may meet with their lawyer. He also regularly provides clients with his cell phone information so that they can contact him in the most convenient ways possible. Insurance companies have extensive resources that they will devote to preventing you from being compensated. Tom values his clients over insurance company profits and is ready to assist residents of Southwest Missouri. In addition to Springfield, our office services Greene, Christian, Stone, Taney, Polk, Webster, Wright and Lawrence Counties as well as the Ozarks. Contact our Springfield law firm today. Tom Kapstrom is a Springfield, Missouri attorney practicing exclusively in the area of personal injury law. Tom services all of southwest Missouri, including Greene, Christian, Polk, Stone, Taney, Webster, Wright, Lawrence County and the Ozarks. Copyright © 2018 Springfield Injury Law.